Jann-Fiete Arp and Tatsuaya Ito have quickly become Hamburger SV’s biggest hope. The 17-year-old Arp and the 20-year-old Ito led the way in Hamburg’s 3-1 victory on Saturday against VfB Stuttgart. Arp, in particular, stood out on matchday 11 and was named the player of the match by kicker. Arp not only scored the third goal of the night, but he was always present acting as a wall player creating room for the attacking midfielders Ito, Aaron Hunt and Filip Kostić. As a result, the Sueddeutsche Zeitung asked on Sunday whether Hamburg were on the verge of “a better future with Arp and Ito.” Hamburg’s victory and defeats for Werder Bremen, 1. FC Köln and SC Freiburg means that der HSV can breathe a sigh of relief going into the international break. Furthermore, Arp and Ito showed that they could provide head coach Markus Gisdol with much-needed alternatives up front. Arp replaced US national team striker Bobby Wood, who never has been fully able to fulfil the expectations set in him after a decent Bundesliga 2 season with Union Berlin two years ago. Ito in the meantime replaced André Hahn in the starting eleven. The newly signed winger from Borussia Mönchengladbach had failed to leave a lasting impression on head coach Gisdol. Going with youth instead, Gisdol seems to have finally found a recipe to turn things around for Hamburg. But Arp’s successful start to his professional career in Hamburg also comes with some question marks. Widely regarded one of the biggest forward talents in Germany, if not Europe, Arp is under contract until 2019. Taking part at the U-17 FIFA World Cup with Germany last month several top clubs at home and abroad have already targeted the striker as a potential new signing. In Germany, for example, Bayern, who are currently in the process of completely revamping their youth development setup, have taken note of Arp’s talent. Hamburg’s sporting director Jens Todt calls Arp “a complete forward” and that Hamburg are willing to start talking about a new contract “any time of the day.” Gisdol in the meantime is happy to have “such a talent” at his disposal, but that Arp would only be able to develop into a top player if the team around him is functioning well. Gisdol points out that the experienced players are doing everything to integrate the young players in the squad. 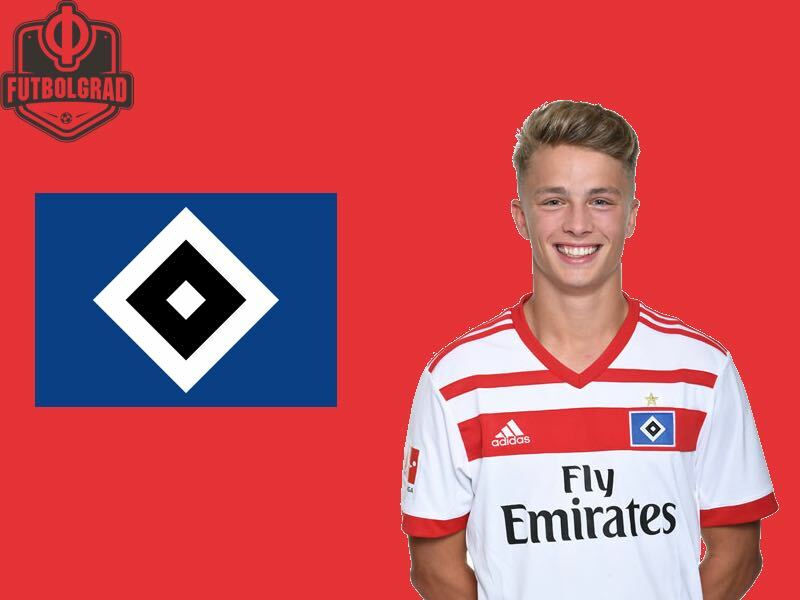 This is important for Hamburg as aside from Arp, and Ito Hamburg also have the likes of 18-year-old Rick van Drongelen and Vasilije Janičić starting to play regular minutes. But it is Arp who is the crown jewel in Hamburg’s squad at the moment. Indeed the young striker’s development is incredible. Still attending Gymnasium, the German equivalent of high school, Arp is only able to train with the first squad on a regular basis due to a unique arrangement the club has set up with his school the Heidberg-Gymnasium. The extra training sessions, as well as additional, unites in the gym have steeled Arp to be prepared for the demands of first-team Bundesliga football. Seeing him play for Hamburg in the last two weeks it is easy to forget that the striker is still only 17. Hamburg are one of Germany’s biggest club regarding public attention, and der HSV have to be careful not to load the striker with too many expectations. After all, it would be a shame should young Jann-Fiete Arp be burned by the club that needs him to deliver right away. With this in mind, it is understandable that Arp is somewhat careful when it comes to discussing his future in Hamburg. 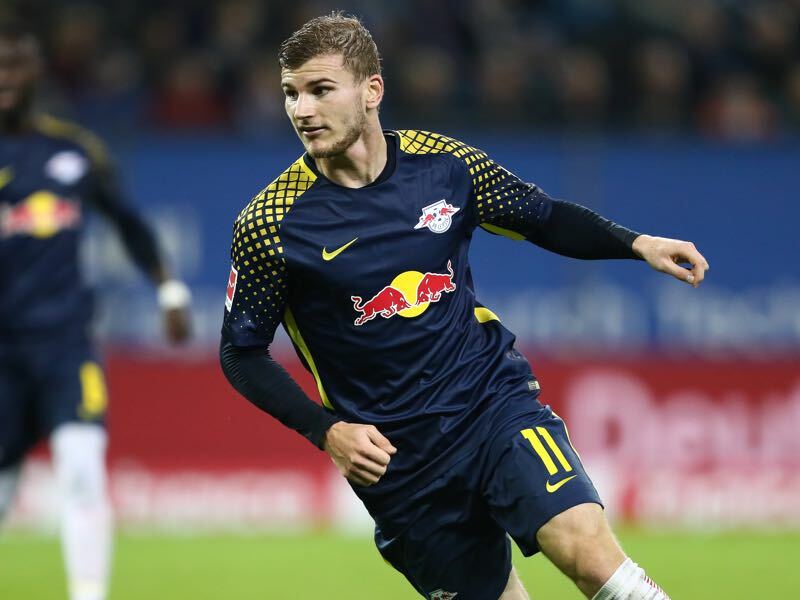 The example of Timo Werner, who had to leave his boyhood club VfB Stuttgart for RB Leipzig to achieve his breakthrough, shows the burden that is placed on young strikers in Germany. Hamburg indeed have to be careful not to expect Ito and Arp to become the saviours that could save the club from relegation. That burden needs to be put on the experienced players in the squad. Players like Aaron Hunt, Lewis Holtby and Kyriakos Papadopoulos need to lead the way for die Rothosen in the relegation battle. Only then can Jann-Fiete Arp and the other young stars in the squad fulfil their full potential.